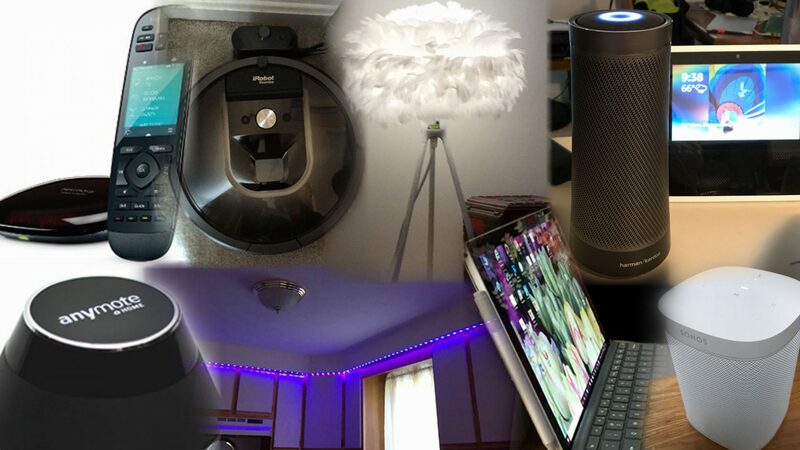 A couple of years ago, I wrote a series of posts detailing my roll your own home automation and security system. A recently failed Insteon SmartLinc 2412N Network controller (the brains of the system) forced me to replace the device and provided the opportunity to add some components and address the issue of controlling everything from a Windows RT device. It turns out that the 24112N has been failing for many others, right after the expiration of the 2 year warranty and is no longer available from Insteon. 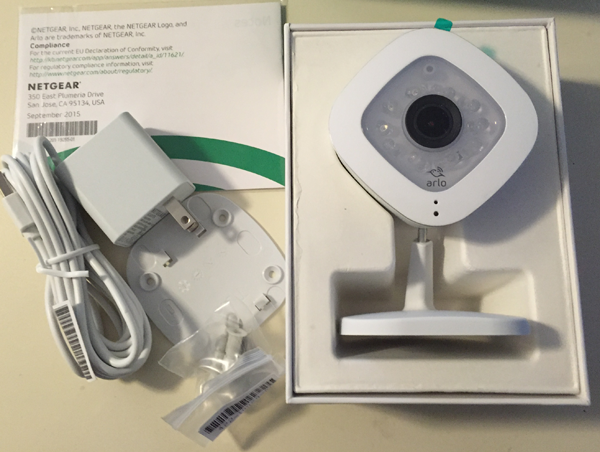 As I was already invested in Insteon modules and devices, I didn’t want to start fresh with a different technology (and I was happy with Insteon), so I ordered an Insteon Smart Hub from Amazon (best price at the time that I ordered) as well as a pair of Insteon 79750 IP Cameras. As with the earlier (and now discontinued 2412N) there are apps for iOS and Android (but not for Windows). I use an iPhone, so I have no problems controlling my devices from my phone. With the new iPhone App, not only can I control my lights, but I can pan and tilt my Insteon cameras. 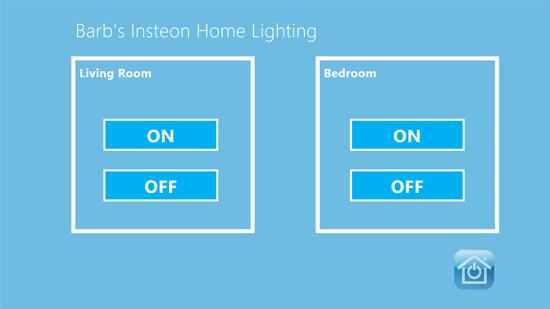 Although I I can control the lights, and the Insteon cameras as shown in the image above, I can’t control or view the D-Link cameras. Insteon has a beta web portal for remote/local management, but it sadly uses an unsigned ActiveX control (which also means the web site won’t work on an RT device like the Lumia 2520). The phone apps (and obviously the web portal) therefore depend on a vendor web site that I don’t control (as well as Internet connectivity). 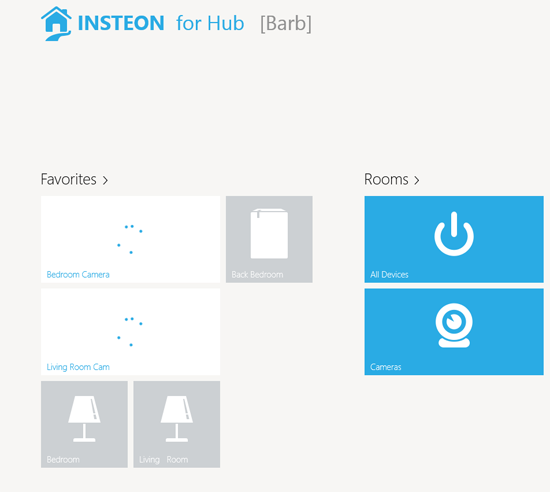 Unlike the 2412N, the embedded web server in the Insteon Hub does not offer controls. I also use a Nokia Lumia 2520 and I was determined to be able to use it for Home Security and Control. Bottom line, I needed better control and as important, didn’t want to depend on someone else keeping a server running. I found that Insteon devices could be controlled by passing parameters directly to a device from a web browser and found a great source for these commands. Note that in current versions of IE, you can no longer pass credentials via an http URL for security reasons, but sending commands without credentials does produce a prompt for them. I quickly built myself an app (which can be installed locally with a developer’s license) to control the lights with Microsoft Project Siena. To insure that I could use these controls both locally and while away, instead of using the local LAN IP, I used my DDNS hostname and the port that the Insteon hub uses (which is set up in my router’s port forwarding table). 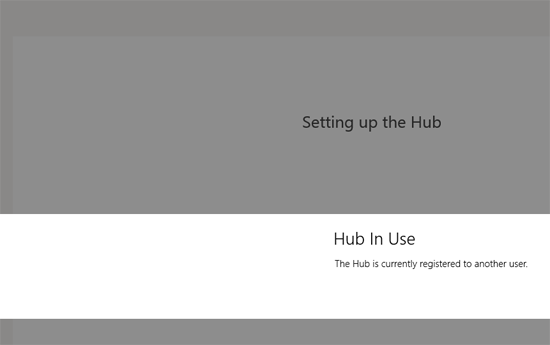 It took less than 15 minutes to create this simple app which is now installed on all my Windows 8.1 devices. I can add Dim and Brighten commands as well. No one has uncovered any Scene commands, but for my needs, what I have now is sufficient for basic functions. 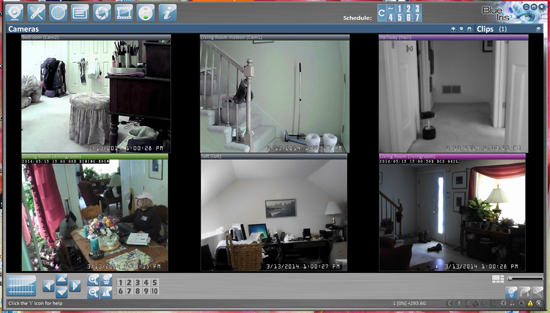 The video formats for most of the currently available IP cameras requires an ActiveX control or stand alone app to render the video/audio feed. Setting up these cameras from a computer also sometimes requires installing an ActiveX control (some of them are unsigned and require permission changes in IE which I won’t accept). 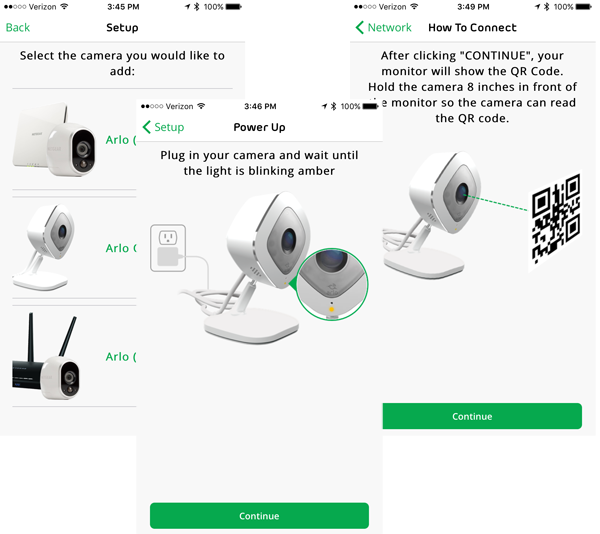 In many cases, once you decline the install, you can proceed with configuring the cameras, you just can’t view the video feeds. 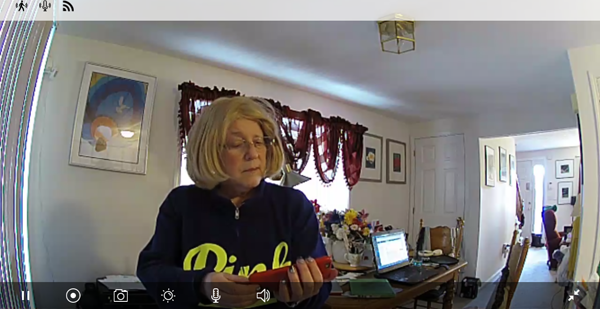 Most cameras (like my D-Link and Insteon cams) have a static image jpg feed; but a "live action" video feed is always the better choice, if available. 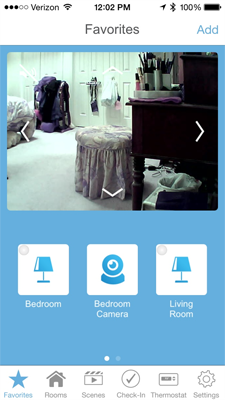 The original iPhone App for my original Insteon 2412N allowed me to configure non Insteon devices, so I was able to add the D-Link cameras and view from within the iPhone App. 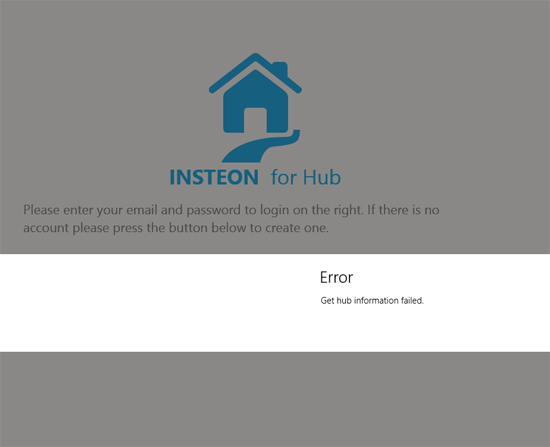 That is not the case with the new app for the Insteon Hub. 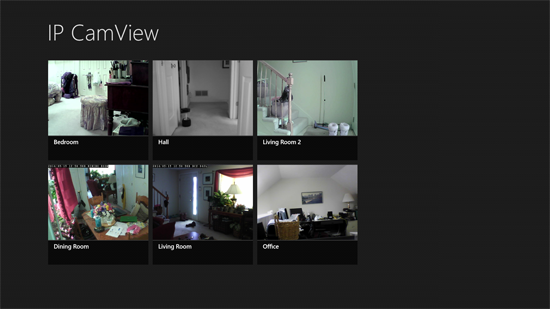 Plus, once again, I wanted something to view the cameras in Windows 8.1 I decided on IP CamView for Windows 8. This app supports Pan and Tilt as well as Presets (on supported cameras). 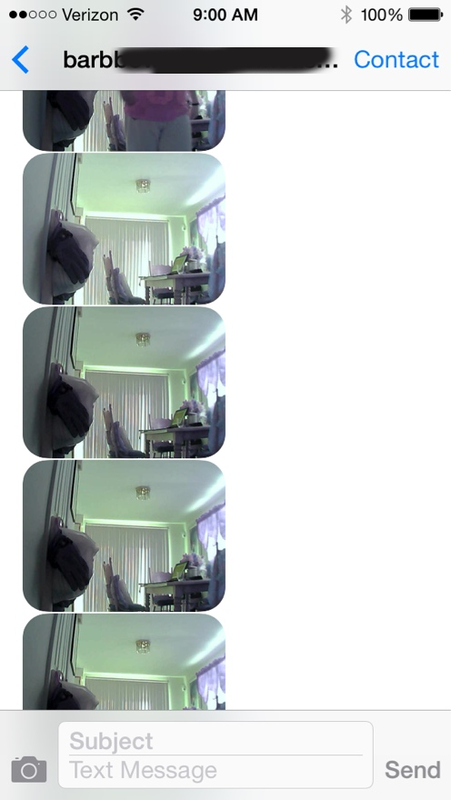 Note that the Insteon 75790 uses the same settings as a Foscam FI8918W. Once again, the trick to use this app remotely is to use a Dynamic DNS hostname as opposed to a local LAN IP. Detail View IP CamView showing Pan and Tilt Settings and Preset drop down menu. 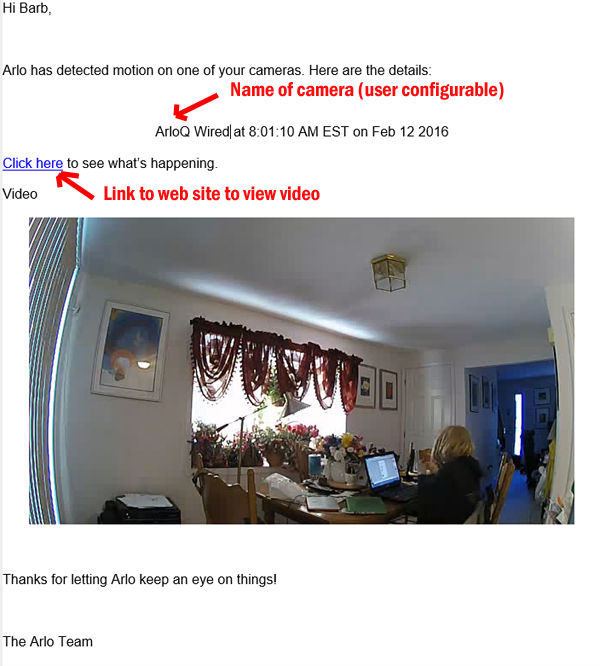 If you’ve read my earlier Home Automation/Security posts, you know that I’ve been using Blue Iris to manage my IP Security Cameras as opposed to setting up each individual camera for alerts, email notifications, etc. etc. and great scheduling capabilities. It certainly meets my needs. There have been lots of updates – nearly weekly – to the Blue Iris software and it supports nearly every IP Camera on the market. 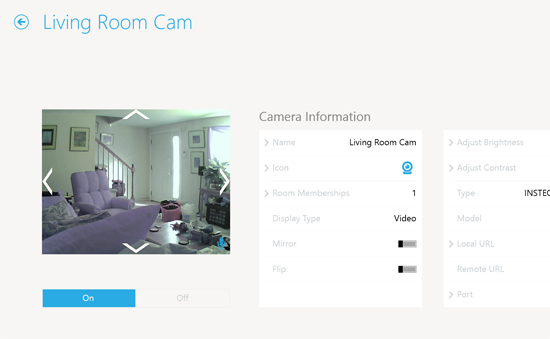 While there was no listing for My Insteon cameras, but they use the same settings as a Foscam FI8918W, and Blue Iris works perfectly with my Insteon and my D-Link cameras. 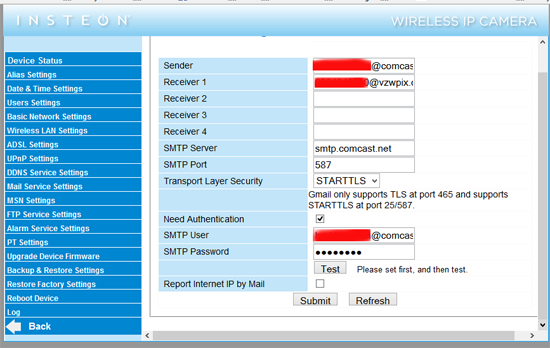 Blue Iris can be accessed over the web via browser (and DDNS), but also requires an ActiveX control. I had been using RDP to the host desktop from my Windows RT devices. After searching the Windows Store, I was surprised, but pleased, to find a program called Blue Iris Companion. 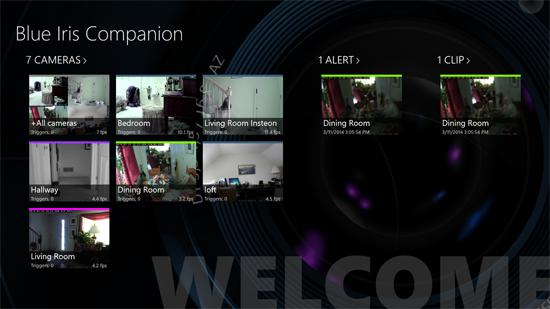 Blue Iris Companion in addition to viewing live camera streams, shows alerts and recorded clips. 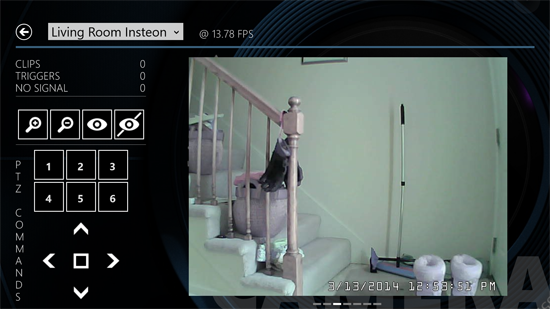 Viewing a single camera in Blue Iris Companion provides an interface for PTZ commands and presets. 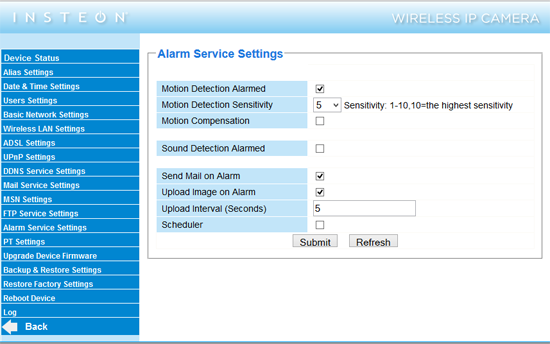 All in all, I’m extremely happy with my upgraded Home Automation/Security System.